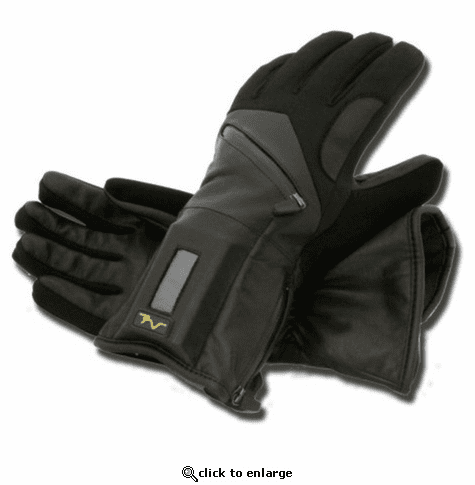 Here at The Warming Store we love the Volt Heated Frostie gloves because of all the great feedback from our customers. These comfortable heated gloves really do help our customers keep their hands warm. The Volt Frostie heated gloves were designed for dexterity and warmth to help those with Raynaud\xCDs who suffer from cold hands and numb fingers. Constructed with a soft leather palm and and a stretch nylon shell to help promote a form fit. The Frostie gloves will not only keep you warm but they will also keep you dry as they include a waterproof/breathable membrane. What do we mean by more efficient? 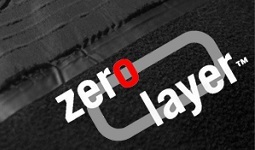 To keep it simple, it is because we basically eliminate the need to \xF1hide\xEE our heating system behind additional fabric layers which impedes heat transfer. This translates to more heat, better heat coverage, less battery power and longer run times. Each of our ultra-thin heating panels are constructed using tiny, imperceptible stainless fibers that are woven onto an insulated fabric. We then encapsulate these heating elements with a special thermal bonding sealing tape _ permanently protecting the heating panels and connections from the wear and tear caused by the rigors of daily use making it not only durable but also waterproof. Products that Outperform: At Volt Heat we use only the highest quality UL tested electronics and top rated battery cells. We incorporate our patented Zero Layer heating system into fashionable products using technical fabrics and advanced insulating materials. Our products have been tested against others in the market place and have come out on top. Most recently our heated vest and heated gloves were selected as "The Best" by a non-profit organization created to research, test, and rate consumer products objectively. Although the Frostie battery heated gloves are somewhat bulky, they do the job after they warm-up for 4-5 minutes. I like that I can wear them when I'm driving. 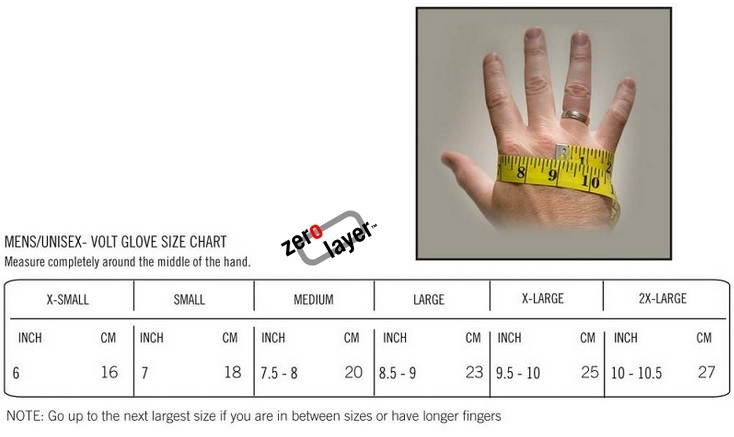 A friend who has severe Raynaud's Syndrome recommended them to me and I would recommend them to anyone who has that or has to work outside in the cold or needs to warm his or her fingers and hands when driving. ProsI can drive while wearing them. ConsTheir bulkiness eliminates the ability to do movements that require more refined finger dexterity.